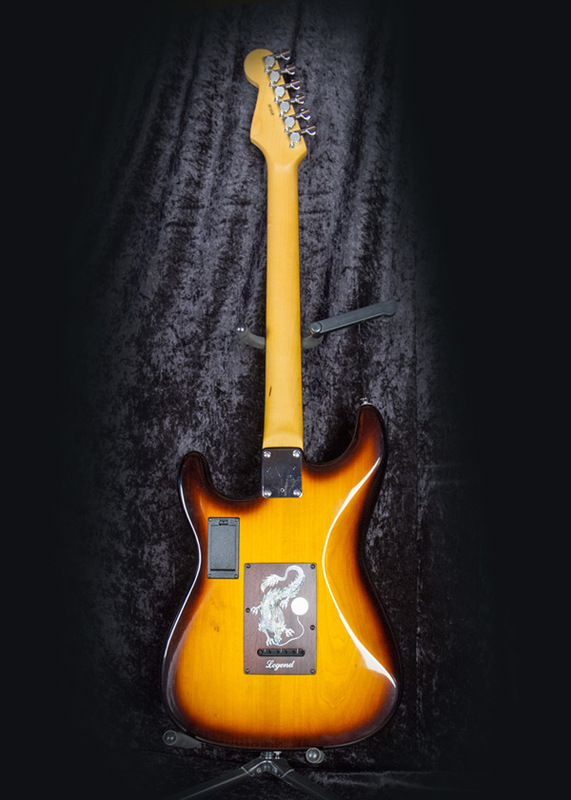 Legend Dragon Strat: This is definately one of a kind Strat that will get you noticed and is a guitar that has it all. First the body is a 5A beautiful quilted maple book-matched top on a poplar body (musical tone wood). It is finished in a amber tobacco burst and is equipped with active EMG pickups. It has a beautiful tortise pickguard and quality electronics. The tremelo and bridge is a quality Gotoh fulcrum type that works very well with good recoil. 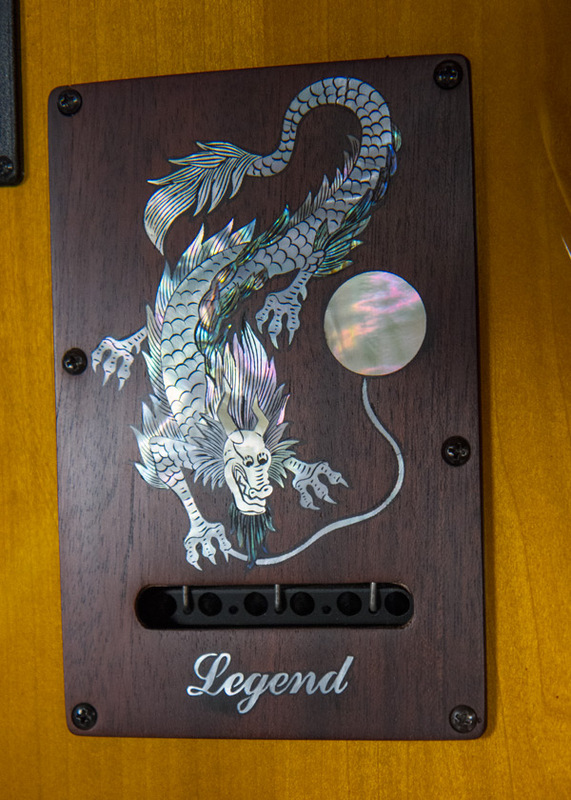 The rear spring cover is made from ebony and is also nicely inlaid with MOP and Abalone in the dragon theme with the Legend logo also inlaid in MOP as well. 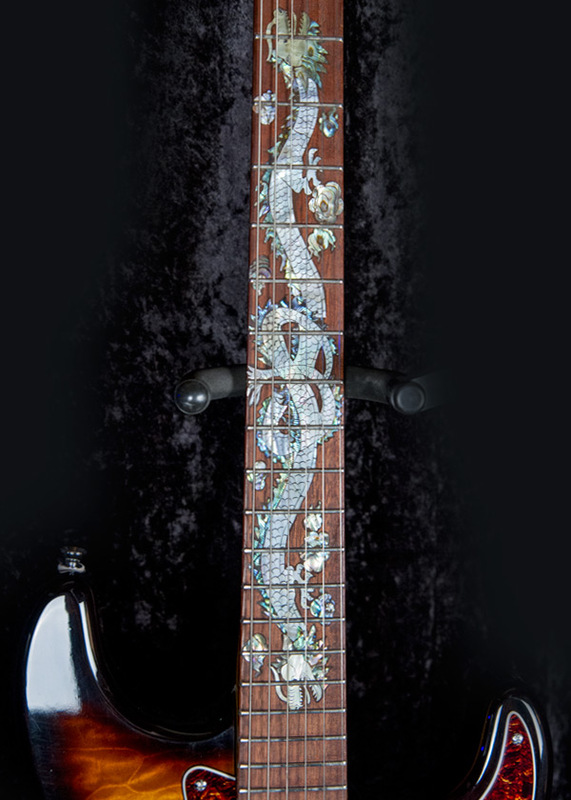 The neck is a 22 fret rosewood fingerboard, 12" radius, medium high fret wire, bi flex 2 way adjustable truss rod, and a two dragon inlay in MOP and abalone that says it all. This is an exceptionally nice guitar and well priced for all the work involved in building it. 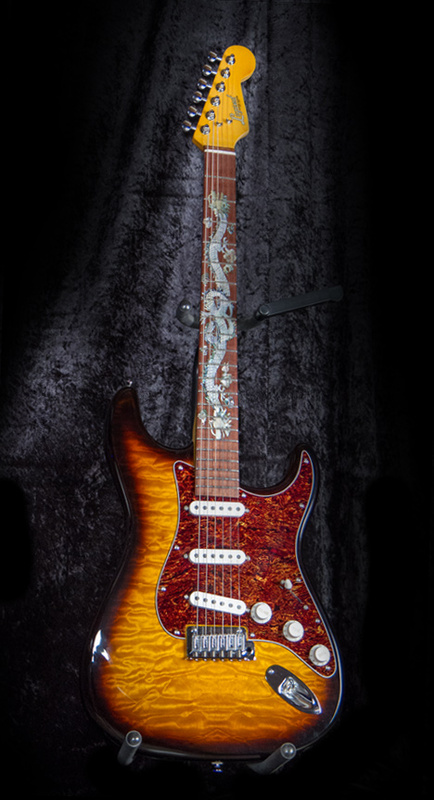 The body contouring on this guitar is very similar to a 62 Strat.